April’s feature on authors who explore global warming in fiction covers Kathleen Dean Moore. Moore’s background in environmental activism and nature writing is abundant, though this article will also spotlight also her newest novel Piano Tide (Counterpoint, 2017), winner of the 2017 Willa Cather Award for Contemporary Fiction and short-listed for the ASLE Environmental Creative Book Award. 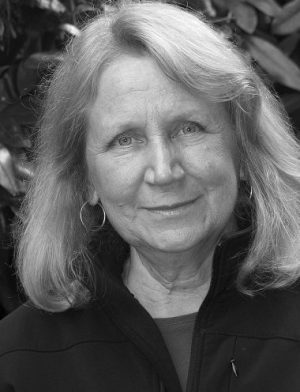 Kathleen is best known for her books of nature-focused essays—Riverwalking: Reflections on Moving Water, winner of the 1995 Pacific Northwest Book Award; Holdfast: At Home in the Natural World, recipient of the 1999 Sigurd Olson Nature Writing Award; The Pine Island Paradox, winner of the 2004 Oregon Book Award for Creative Nonfiction; Wild Comfort, finalist for the same award; and Great Tide Rising (Counterpoint, 2016). Piano Tide is her first novel. I asked Kathleen about some of her thoughts when writing this novel as well as creative nonfiction. Mary: How do you think people can explore global warming, or really any environmental “character” in fiction, and try to be fresh from tired dystopian tropes? Kathleen: I don’t read dystopian literature. I’m already frightened enough, but it’s more than that: Meeting the climate and extinction emergencies will require the greatest exercise of the human imagination the world has ever seen. It’s an all-hands-on-deck moment, requiring writers to race to their stations to do what they know best how to do. Yes, it is important to warn, and the dystopian literature has an essential role here. But the harder work, the next work, is to imagine a better world into existence. How will we find the courage to stand against the corruption that is on track to irredeemably destroy the life-sustaining systems of the planet? How, exactly how, will we live on Earth without wrecking it? Who will we have to become, we humans? What are the sorrows, what are the beauties, of that transformation? These are the stories I want to read. If writers are so worried and worn-down that we can’t even envision a better world, how can it be created? But if we put our very best imaginative minds to the challenges, we at least have a chance to create a new narrative for humanity. That’s what fiction is–imagining a story with a different ending, maybe a surprise ending. Mary: How different is it to write nonfiction and fiction? Kathleen: I think that nonfiction and fiction have the same elements–the setting, the characters, the challenge/question/seeking. The writer puts the people in place and poses a problem. Then, in nonfiction, the writer provides the answer through reportage or reflection or argument. But in fiction, the characters have to do it themselves. Here they are, all in their costumes and all in their places, maybe holding a dog on a leash or cooking baba ghanoush, and then something astonishing happens. They come to life. It’s a “hold on to your hat” moment for a fiction writer. What will they find inside themselves? What will they stubbornly refuse to understand? How do they act out who they are, in that place and time? That distinction made, I am all for blurring boundaries. Clearly, the world needs a new human narrative–not a narrative of business-as-usual or a narrative of disintegration and despair. As Joanna Macy points out in Active Hope, the necessary new human narrative is a story of radical transformation, new answers to the most fundamental questions: What is the world? What is the place of humans in the world? How then shall we live? Mary: I love to explore the diversity of storytelling voices when it comes to this literature, so any thoughts on that would be welcome. Kathleen: This may require new narrative forms or hybrids. In an ASLE editorial, I suggested a bunch of new forms of story-telling–The Drumhead Pamphlet, the Apologia, the Radical Imaginary, the “Broken-hearted Halleluiah,” the Indictment, the Witness. For myself, I am working hard to create a new genre that I call the “Lyric Polemical.” All around me, beautiful writers are abandoning what we used to call ‘lyric prose,’ musical prose, in favor of the argumentative piece. That’s a natural response to all that is awful. But I wonder if we writers can do both: I wonder if we can write beautifully about moral outrage and clarity of thought. “Write as if you reader were dying,” Annie Dillard advised. “What would you say to a dying person that would not enrage by its triviality?” Now we must write as if the planet were dying. What would you say to a planet in a spasm of extinction? What would you say to those who are paying the costs of climate change in the currency of death? Surely, in a world dangerously slipping away, we need courageously and honestly to write a better ending to this story. Kathleen Dean Moore reveals a refreshing thought process when it comes to writing about climate change and weaving in stories, or reflections, about the subject. The lyrical polemic seems a brilliant idea. In Orion Magazine, Kathleen wrote about those who are fighting Canadian oil sands pipelines. And in Piano Tide, the author fictionalizes similar acts of resistance as characters try to preserve natural resources in the Pacific Northwest, home to wild rainforests, endangered species, fresh water, and fish. A man named Axel Hagerman, well-known as the “town father” in the remote Alaskan village, makes his living–and more–by selling the needed resources: rainforest trees, herring, halibat, and now he wants to export fresh water from a salmon stream. Nora Montgomery, new to the village, and a woman with a piano looking for an isolated place to make her new home, clashes with him when he wants to start a bear pit. With Kathleen’s knowledge of local culture, fauna, and flora, she builds a sometimes serious and sometimes humorous novel that is both believable and magical.